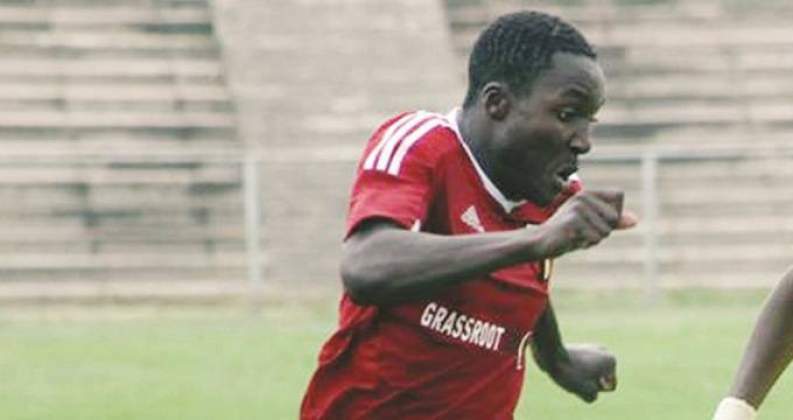 FORMER Bantu Rovers and Chicken Inn striker, Obriel Chirinda yesterday signalled his intention to join Bulawayo giants, Highlanders when he attended the club's trials held at Crescent Sport Club. Chirinda, who turned out for Chicken Inn last season, was one of about 30 footballers who turned up at the grounds seeking to impress Highlanders coach, Madinda Ndlovu and secure a place in Bosso's senior team. The 21-year-old striker was a vital cog in the Gamecocks second half revival that saw them finish third in the championship last season and was also rewarded by being named the Castle Lager Premier Soccer League player of the month for July. Chirinda finished the season with seven goals, highlighting his prowess not as only a fast-paced striker with sublime dribbling skills but also a goal getter. There was confusion over the player's contractual standing with Chicken Inn after Chirinda indicated it had lapsed at the end of December but the club's officials indicated that he has a running contract set to end in 2021. Former Bulawayo City goalkeeper, Wellington Muuya was among five shotstoppers that also attended the trials amid reports he is one of the favourites to land a spot at Bosso after the club released Nedrick Madeya and Prosper Matutu. Utility player, Mbekezeli Sibanda, formerly with Talen Vision was also among those trying their luck and could find his way into Bosso's squad, judging by the way he played. Sibanda had a stint with Slovakian Division Three side, MSK Puchov in 2017 before coming back home last year. Highlanders communications officer, Ronald Moyo said they will be continuing with the trials today (Sunday) and they expect a bigger turnout. "Players that impress the coaches will be drafted into the pre-season training camp that begins on 20 January and if they fit in they will be joining us," he said.